With longer nights you’re more likely to be driving in the dark, and it’s more likely to be colder. These tips will help keep you safe. Keep your windows clean (or your helmet visor), especially if driving west in the evening or east in the morning as you could experience severe sun strike which is only made worse by dirty windows. Keep your headlights clean so that the maximum light possible can shine from them. Some cars have headlight washers, but they’re not always effective on really dirty lights with splattered bugs. Motorcyclists – this makes you more visible to other road users. Automatic headlights found on newer cars don’t always dip if you hit fog, and you don’t want drive in fog with full beam headlights, so you’ll have to switch to manually dipping your lights. Clear all ice from your windows (including your side windows), not just a small viewing patch, and ensure that you set your heating to demist your windscreen and rear window. Driving in the dark can make you more sleepy as the darkness is a trigger for your body to feel tired. Make sure you’re well rested. While we don’t use salt any more on icy roads in New Zealand, it’s still a good idea to keep your vehicle clean if you’ve been using roads that have been treated with calcium magnesium acetate which is used for de-icing. Use full beam headlights where there are no streetlights, but not during the day. If the weather is gloomy, use low beam headlights at all times. Motorcyclists should be wearing reflective or hi-vis gear and it’s even more important at night. 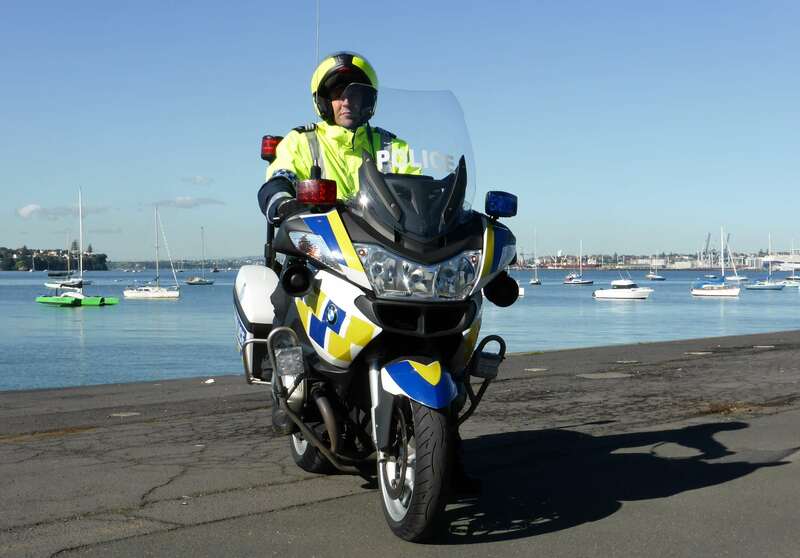 Other vehicle users should be watching out for pedestrians, cyclists and motorcyclists wearing high visibility clothing. You can get clues about what the road does ahead by looking for the cat’s eyes on the road, reflective signs, approaching headlights and other cues. Stay warm in or on your vehicle. Carry equipment in your car or truck which would help if you get stranded or break down, e.g. a torch and blanket. When you are overtaking take more care as it’s difficult to judge the distance and size of vehicles approaching. Watch out for animals on the road.